I knitted this blanket for a friend. Original pattern is here and it calls for knitting 4 panels and sewing them together at the end. I revised the pattern to knit it in one piece to avoid sewing at the end . 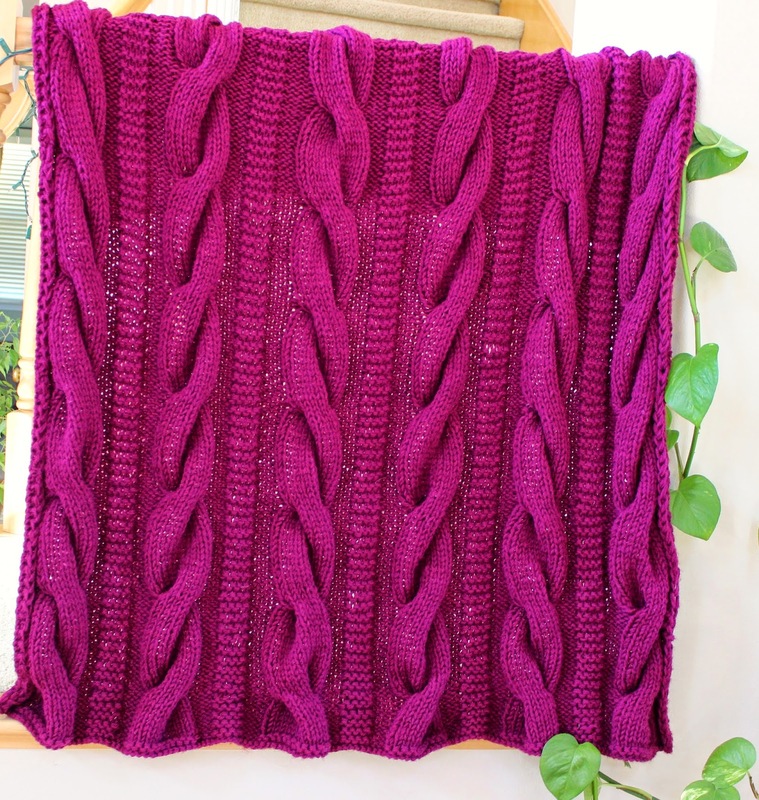 My blanket is a bigger size (46" x 60") which was equivalent to knitting 6 panels and would not recommend doing bigger than 6 panels as the blanket can get really heavy. I used a bigger needle size cause I liked the loose look of the cables. 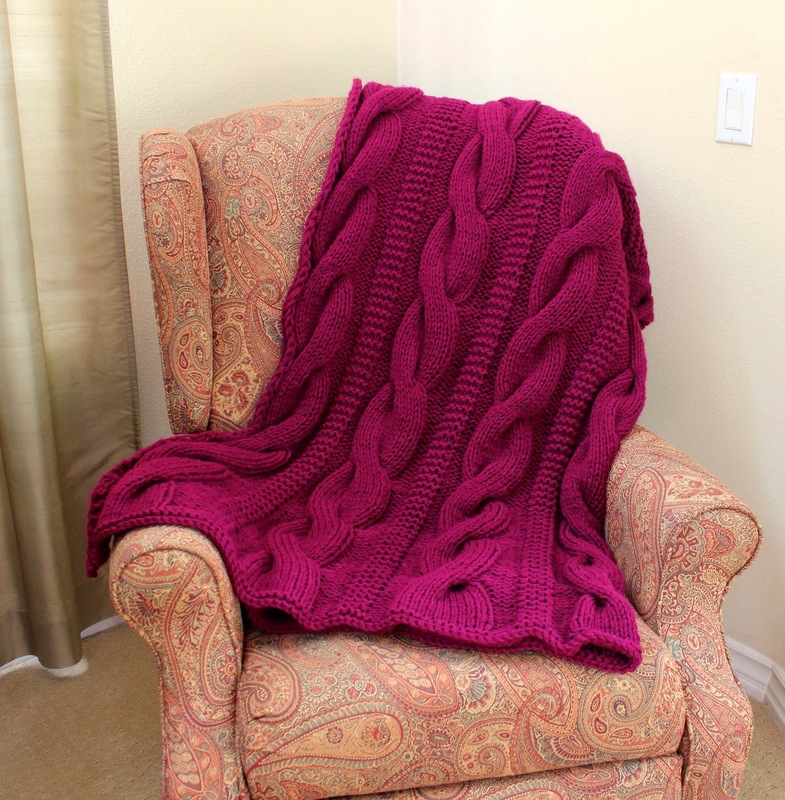 It is a beautiful, big, warm and cozy blanket . My version of the pattern is at the end of this post, just replace the main body of the original pattern. Enjoy and A Happy New Year! With 2 strands held tog, cast on 144 sts. Row 18: *K6, p12, k6** Repeat from * 5 more times. Rep Rows 1-18 eight more times, then rep Rows 1-7 once. TIP: Use Counter to keep track of the rows. Ask me any questions that you have about the pattern. If the link for original pattern is not working, you might need to set up an account at Lion Brand's website. Do you think using only one strand would work? 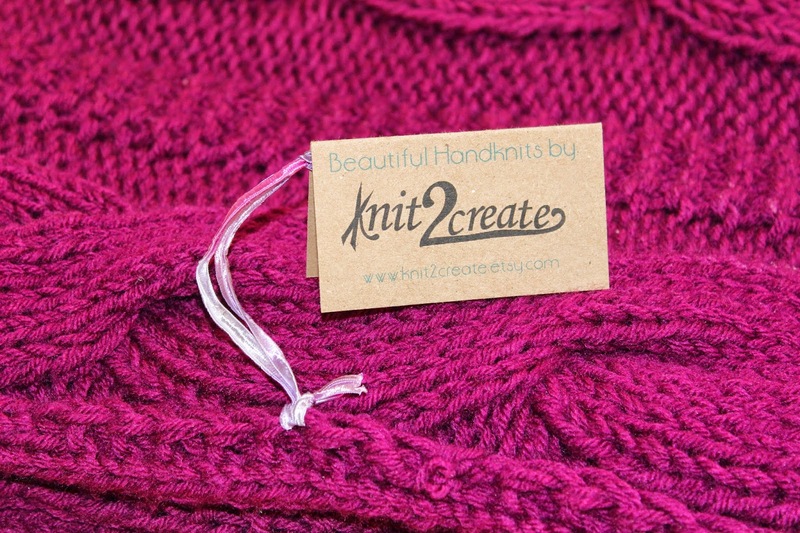 Single strand of Worsted weight won't but Chunky or Bulky weight will. Make sure to do the gauge. Love your edit, on the pattern. Im so going to try this immediately. Did you use circular needles?? Thank you so much and yes I did use circular needles to fit all those stitches. Super Bowl Pom Pom Beanie Revisited!